In this article, I install the Raspberry Pi Camera which I will be using to add camera vision to a robot. Also, to maximise the performance of OpenCV and Camera, I will be using a utility to add multithreading to the Python applications. Furthermore, I include Python demo code which also supports USB webcams. 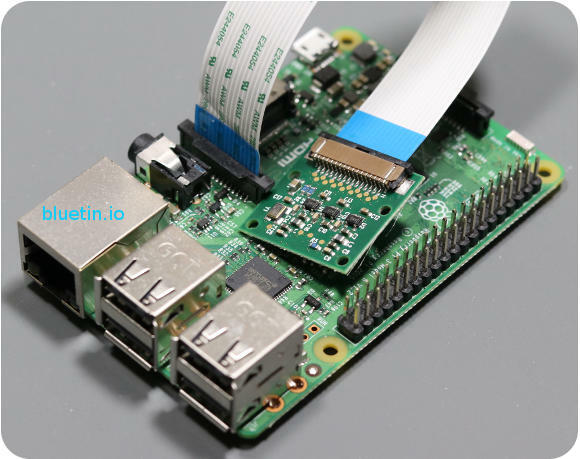 This feature will provide a quick reminder on how to connect the Pi Camera to the Raspberry Pi. Also, you get a quick run-through on the software setup. I assume that OpenCV and supporting libraries are already installed; which will be needed to run the sample code included below. Pi Camera Connection to the Raspberry Pi. Here we connect the Pi Camera to the Raspberry Pi. The ribbon cable has to be connected the correct way round. So, the best way to connect the camera is to use the above image as a reference. And you will notice the blue insulation on the ribbon cable is facing our direction. This blue insulation is generally facing the movable part of the ribbon connector. Ideally, the camera is best in a fixed position with the Pi mainboard to avoid having the ribbon cable work lose. Raspberry Pi Configuration Tool for Interface Options. Then, when the configuration tool opens, select interfacing options. Find the Raspberry Pi Camera and enable it, then return to the Terminal. You can view the snapped image on the Pi desktop if you have access to it. Or, if no Pi desktop available, download the pic via FTP to view on the PC. Note that you might want to use Python Virtual Environment if you have that setup. Furthermore, I use Python 3 in the command below; using a different Python version might need a different installer version. For radio control, the robot will have to periodically check for incoming radio control data, and process them. Read proximity sensors for object avoidance or tracking. Update onboard display with live updates. Get next camera image for processing. The range of robot tasks is not limited to the above, but already there are at least three that can slow down the main thread of the robot program. I/O devices such as wireless gamepad, onboard camera and display can slow or even block code execution. So, to keep the main thread of our main program running smoothly, we can run the Pi Camera in a separate Python thread. In a recent article, I put the wireless gamepad into a separate program thread to get around its code execution blocking feature. This time, I put the Pi Camera I/O function into a separate thread for the same reason. However, the work of creating a multithreading program for the Pi Camera is already done for us. All we need to do is install a Python package that is being maintained by Adrian Rosebrock from Py Image Search – Link. Note that to use this Python library, you will have to install NumPy and OpenCV libraries beforehand. Additionally, to use some features of this library, you may have to install matplotlib. Here, I show the minimum of what you will require for a multithreading OpenCV application. Additionally, due to the features of the imutils Python library, we can easily swap between the Pi Camera and USB Webcam. # Are we using the Pi Camera? # Set initial frame size. # Initialize mutithreading the video stream. # Allow the camera to warm up. # Get the next frame. # we take the extra step to change frame size. # if the `q` key was pressed, break from the loop. The above demo code runs under Windows and Raspberry Pi using compatible cameras. If you are interested in running OpenCV on Windows 10, you will need to install Python. Then, using the Python pip package manager, install Numpy and OpenCV libraries. I believe Python includes the pip package manager with Windows Python installation. Download and install the latest Python 3 software for Windows. The Idle application should now be available to run and edit Python code in Windows. Additionally, adjust the demo code above to work with USB webcam. Raspberry Pi Compatible Wi-Fi Dongle – Search. Raspberry Pi Camera – Search. 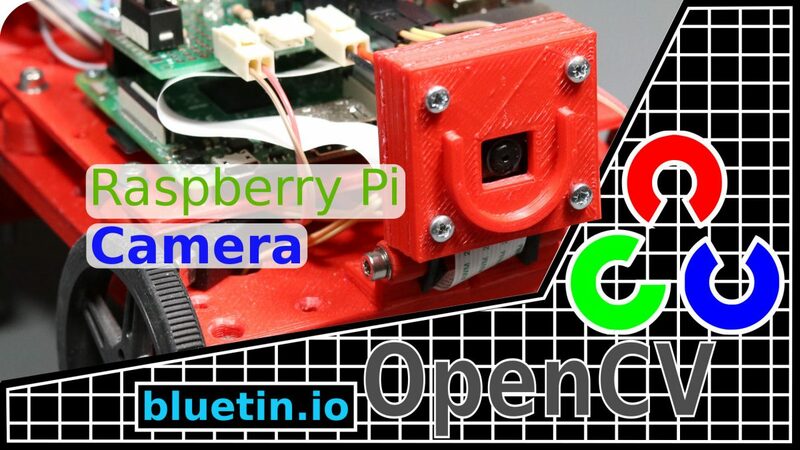 I hope you find this article useful – Pi Camera Video Capture with OpenCV and Python Multithreading, please like and share.